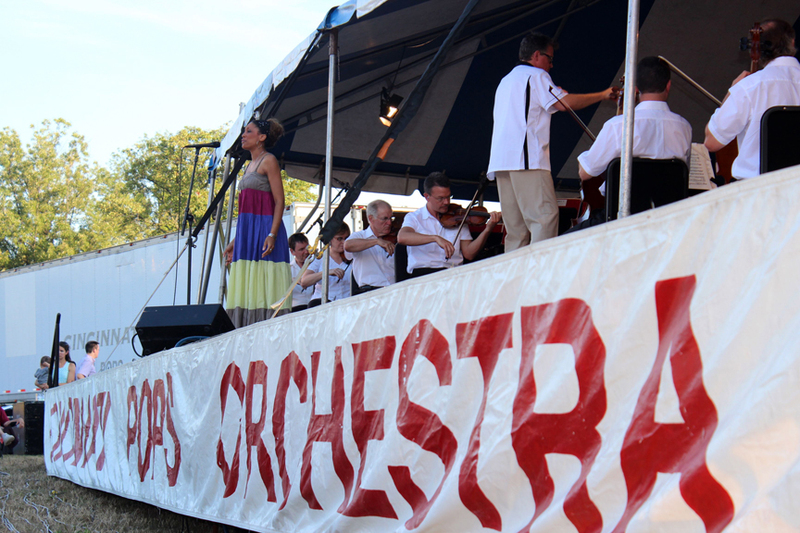 Established in 1977 by the late legendary conductor Erich Kunzel, the Pops has long been regarded as one of the finest musical assemblies in the country. Their recordings have topped musical charts worldwide, even earning them the honor of being the only American orchestra invited to perform at the 2008 Olympic games in Beijing. 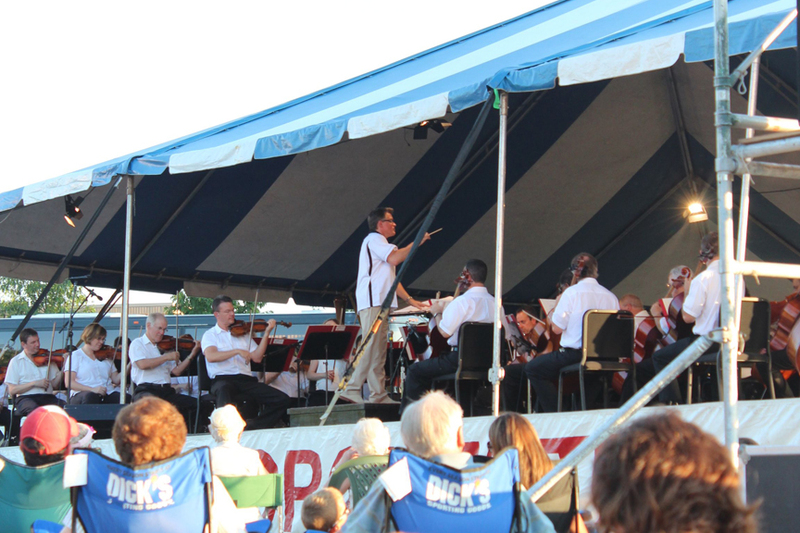 Currently led by esteemed yet fun-loving conductor John Morris Russell, the Cincinnati Pops Orchestra plays an exciting program that piques the interest of every age group, ranging from timely Olympic themes to patriotic tunes, arias, classical pieces and show tunes. My sister Jenny and I decided to pack a few snacks and relish a relaxing evening reclining on the lawn of a local park with the highest quality live music around. The Pops are famous for inviting various vocalists from within the community to perform on stage. We were fortunate enough to hear the angelic voice of Jacqueline Echols, who also starred as Bess in the Cincinnati Opera's production of Porgy and Bess. She regaled us with Gershwin's sultry "Summertime" and led the crowd to a standing ovation for her heartfelt rendition of "Sempre Libera" from Verdi's La Traviata. In addition to Echol's stellar performance, Jenny and I were excited to hear our favorite song, "Maria", within a West Side Story medley. Another crowd-pleaser was the dramatic theme song from Goldfinger, which brings back good memories since it is one of our dad's favorite soundtracks. 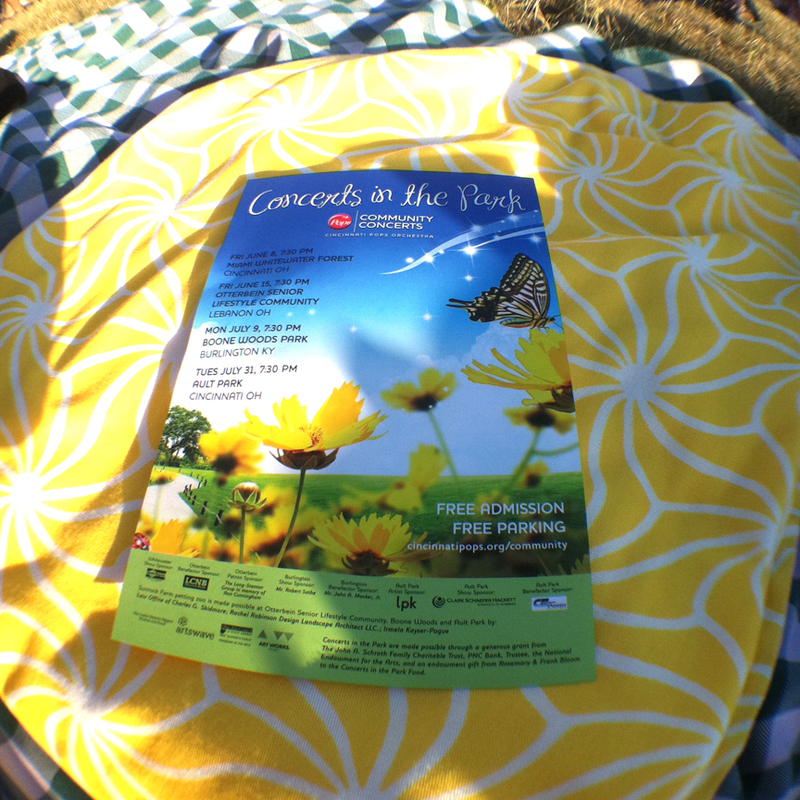 For those looking for a special outing that is certainly friendly to the pocketbook (free admission and free parking), the Concerts in the Park series is the perfect choice and provides a fantastic opportunity to introduce orchestral music to your family or friends in a relaxed and informal setting. Just pack a picnic basket with blankets and drinks, grab your folding chairs and dress comfortably. Seating is haphazard and on a first-come basis, but even those coming late are sure to enjoy a fantastic view from anywhere on the lawn. 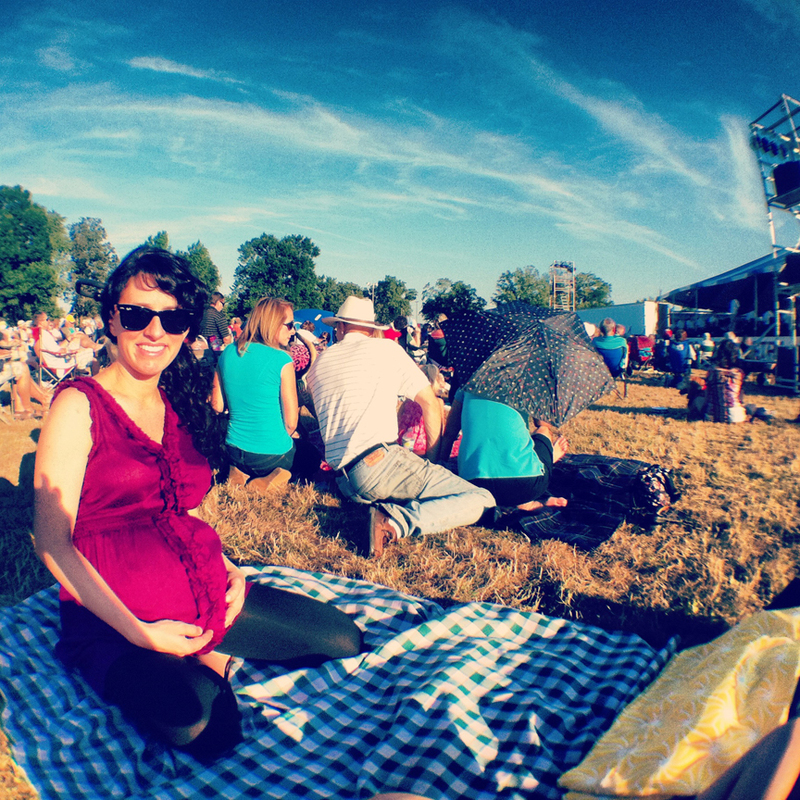 As the sun set over the park, Jenny and I couldn't help but smile at the amount of people enthralled by the range of symphonic melodies; even the dogs seemed to be soaking it all in. 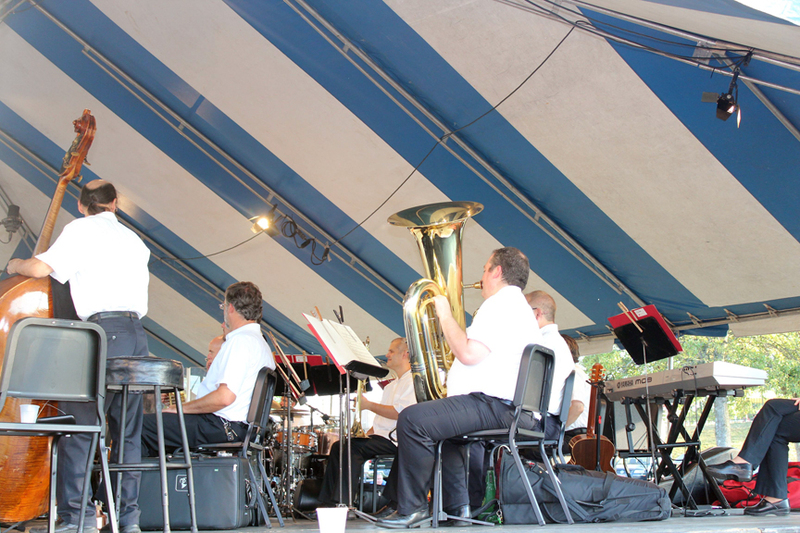 Be sure to catch the last free concert of the summer, which takes places at the picturesque Ault Park on Tuesday, July 31 at 7:30pm. Can't get enough Cincinnati Pops? Take advantage of the 25% off coupon on the back of the program for the August 4th Pops performance at Riverbend Music Center or download any of their albums on iTunes. 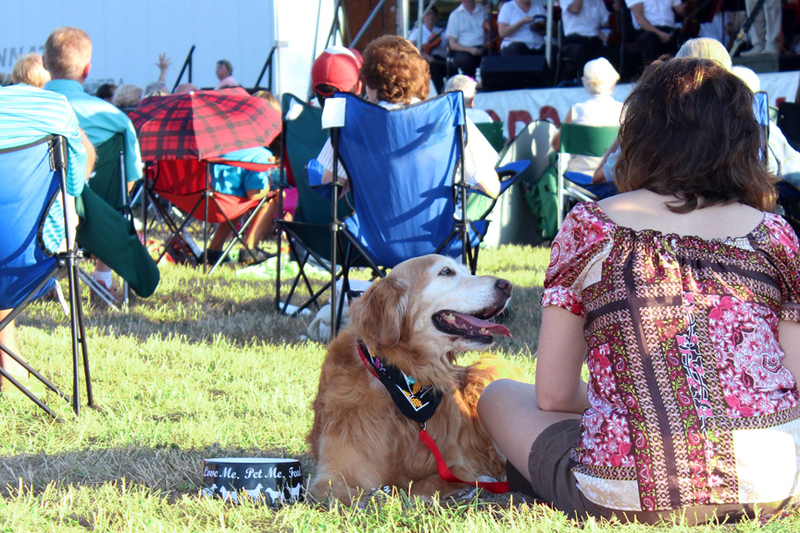 Check the website for additional information and be sure to plan for next summer's Concerts in the Park. Viewed 5313 times so far.